"Since 1938 Sempertex® offers a complete range of balloons specially designed to fulfill and satisfy all the needs of balloon art. Made of 100% pure natural biodegradable latex, free of fillers or cost reducing agents, and manufactured with our own designed formulations, permanently improved and updated with the most advanced technology, Sempertex® guarantees the delivery of top quality balloons. This is the result of a philosophy and lifestyle inspired in quality, service, innovation, and total customer satisfaction. Our commitment is to deliver 98% “perfect balloons”, however we are proud to say that we are usually around 100%. 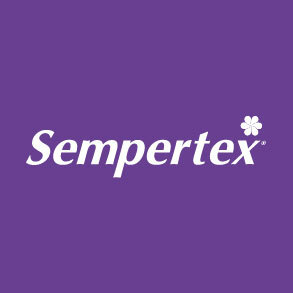 In terms of Price & Quality, Sempertex® provides you with the best available cost-benefit alternative in the world." Anagram leads the world in making balloons fun with consumer-inspired - and inspiring - product development, industry-expanding innovation and strong, value-added partnerships. We proudly offer many products you'll only find with an Anagram label. Our dedicated-to-the joy employees are focused on creating the best product and the biggest smiles possible. At Anagram, we strive to create joy, on purpose, every single day. "About UsAmscan has two arms to its business: wholesale and retail. This website addresses the wholesale divisions of Amscan Inc.Founded in 1947, Amscan Inc. is the largest designer, manufacturer, and distributor of decorated party goods and party accessories in the world. 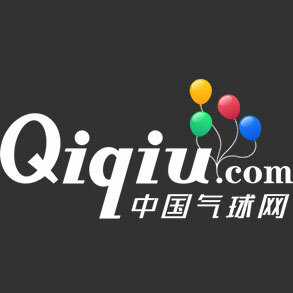 Our company is also a leading supplier of gifts, home décor, and tabletop products as well as the primary source for gift wrap, gift bags, stationery, and licensed products.Our identity has a special meaning. Our founders were American and Scandinavian…hence AMSCAN. Our wholesale divisions employ approximately 2,200 associates worldwide, and we distribute products to 40,000 retail outlets throughout North America, Europe, Australia, and Japan.Amscan Inc.’s product portfolio consists of over 15,000 skus—one of the broadest lines in the industry. Our party offering is comprised of more than 300 innovative party ensembles including tableware, accessories, balloons, novelties, stationery, gift wrap, and decorations. In 1999, Amscan expanded its offering to include fine quality, innovative, on-trend home décor and tabletop gifts marketed under Grasslands Road, Gifts that Inspire™. To date, our specialty gift division has launched more than 10,000 everyday and seasonal specialty gift products, including our Baby, Garden, Inspirational, Holiday, Fall, Halloween, Spring, and Summer collections.Amscan Inc.’s worldwide locations include our corporate headquarters in Elmsford, NY, as well as our locations in China, England, Canada, Germany, Japan, Mexico, and Australia. We have seven state-of-the-art distribution centers throughout the world and six domestic manufacturing facilities. Our products are manufactured in the United States and overseas. Additionally, we have showrooms in New York, Atlanta, Las Vegas, Toronto, and Hong Kong.Amscan is comprised of Amscan Inc, Grasslands Road, Anagram International (the largest manufacturer of metallic balloons in the world), Ya Otta Piñata (a leader in the piñata industry), and retail stores under the brand names Party City, Party America, Factory Card & Party Outlet, Halloween City, and The Paper Factory. Thomas H. Lee Partners and Advent International are the principal owners of Amscan." "会社概要商 号設 立資本金代表者従業員数業 種取引銀行宝興産株式会社（タカラコウサン カブシキカイシャ）昭和54年3月2日1000万円代表取締役 深尾 マリ子70名（平成28年6月現在） 総合バルーン専門会社三菱東京UFJ銀行蒲田支店、みずほ銀行蒲田支店主な仕入先 大日本印刷株式会社、タマポリ株式会社、パイオニアバルーンカンパニー、大倉工業株式会社、株式会社サンリオ、コンウィンカーボニックカンパニー、株式会社タカラトミー、株式会社ソニー・クリエイティブプロダクツ、アムスキャン・ジャパンＦ＆Ｃ株式会社 主な取引先 株式会社東急ハンズ、株式会社サンリオ、凸版印刷株式会社、株式会社キディランド、株式会社カワダ、エミリーズバルーン株式会社、日本トイザらス株式会社、株式会社博報堂、大日本印刷株式会社、株式会社電通、株式会社電通テック、株式会社千趣会、株式会社シモジマ、株式会社アサツーディ・ケイ、株式会社ジェイアール東日本企画、株式会社ソニー・ミュージックコミュニケーションズ、 "
"About Us:Established in 1960, Conwin Inc. is a second generation, family-owned business based in Los Angeles, California. Conwin products are designed and engineered expressly for the balloon and party industry. Conwin is a progressive, forward-looking company that measures its success by that of its customers. We closely monitor industry trends and make sure that our customers have the tools they need to succeed. We service an ever expanding domestic and international customer base providing us the global view of the industry’s needs and developments. Our innovative equipment and dedication to guaranteed quality have earned us recognition as an industry leader worldwide. We are proud of this honor and pledge continued worthiness to our customers’ trust and patronage. "